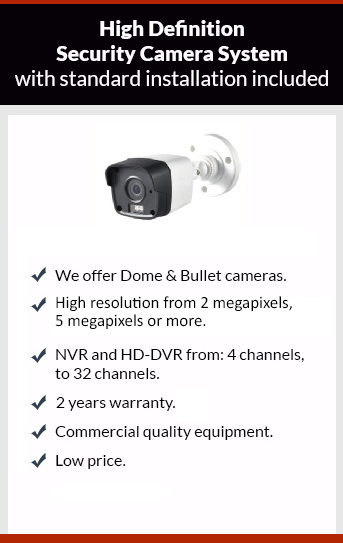 Get affordable Security Camera Installation on Duarte, CA and CCTV equipment with commercial quality and 2 years warranty. We have been working on Duarte, CA, since 2005. One of the main reasons to install security camera system is to catch any suspicious people behavior. At this time is really easy to get a security camera system with a low budget, the only thing that you have to do is to select the right company to do the job. If you buy your security camera system from Protection4less you’ll make a good invest on your security. You can check our reviews on line. We have an outstanding service and installation, besides this we will give you 2 years of full warranty. All our products have commercial quality and this means quality. We provide you with a free detailed quote with a low price. Give us a call to book your appointment to get your free estimate.